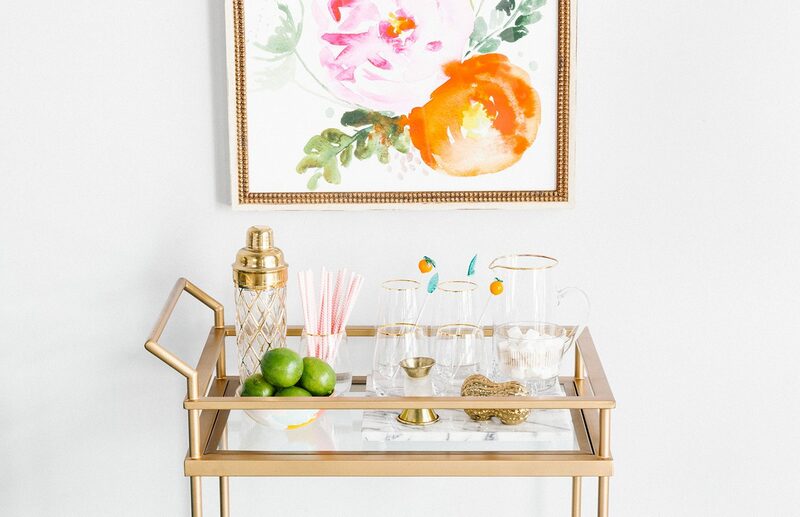 7 Bar Cart Styling Tips & Tricks | Havenly's Blog! 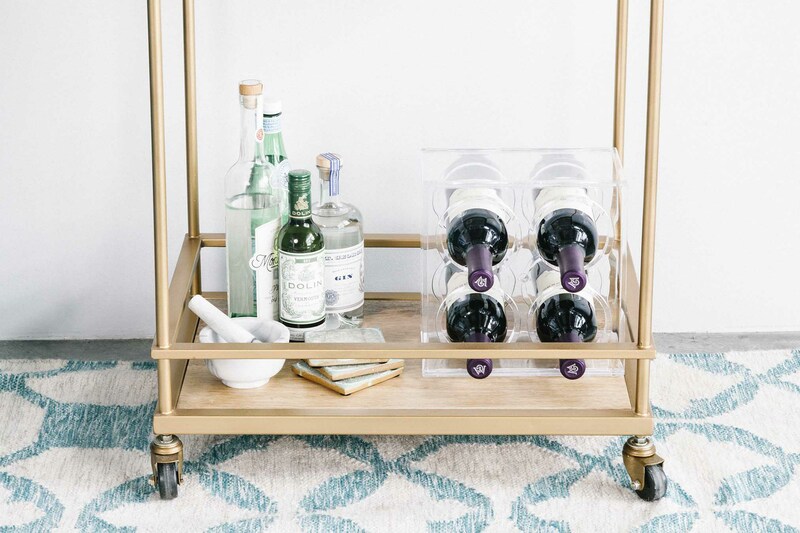 We thoroughly believe that any host worth her salt ought to have her bar cart game locked down. Why? 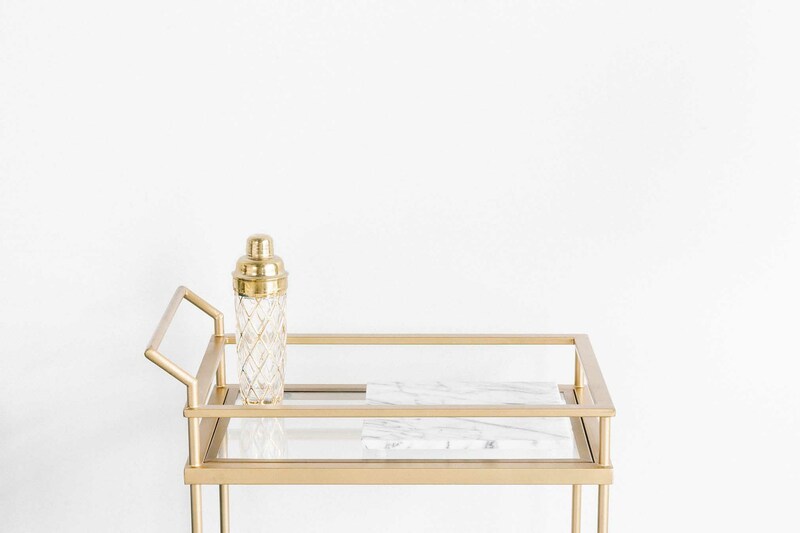 Because bar carts are versatile, beautiful, stylish and functional. 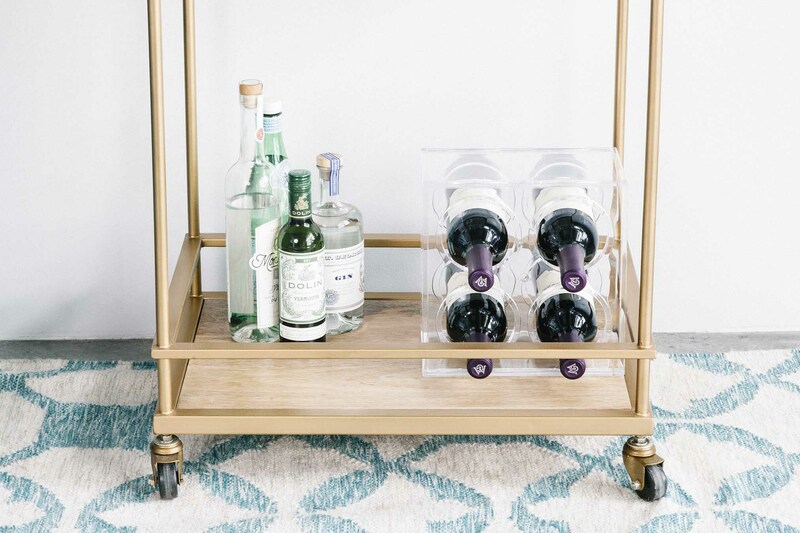 And if those reasons aren’t enough, then this one ought to seal the deal: Bar carts are EASY! 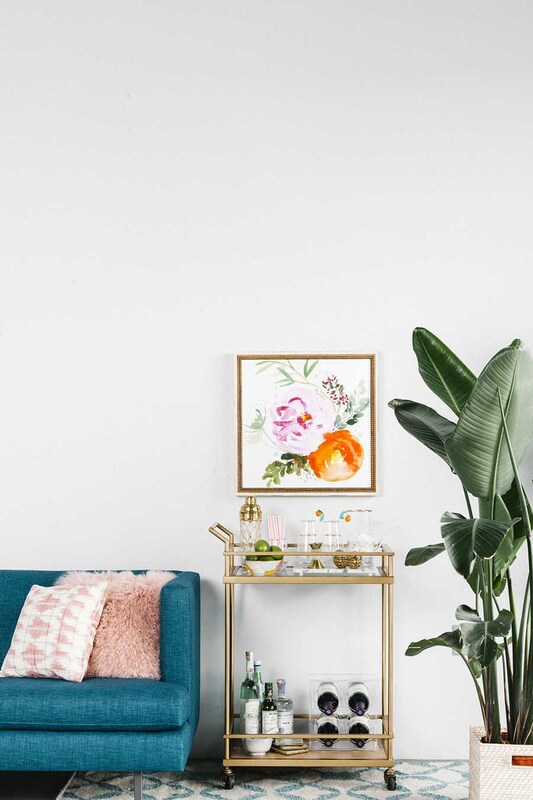 Whether you’re styling a bar cart as a finishing touch to your living room design or are just whipping up a quick bar scene for a get together, these decorating tips are quick to style and fast to impress. And not just because they’re pretty! The shaker adds height to your visual landscape while the tray serves to corral your drinkware. Don’t forget, bar carts are magic. They serve their function as much as they honor their style. 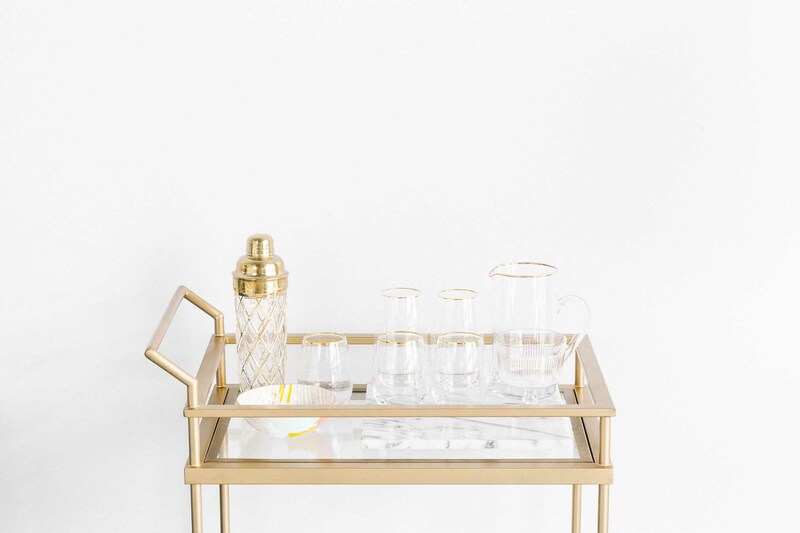 So when your stash of drinkware isn’t being used to serve your guests, it will serve to create a gorgeous bar cart vignette that’s nothing less than eye candy. Your bar cart ought to be entirely self supported. An occasional trip to the fridge for ice is acceptable, but don’t make your guests go rooting around in your kitchen drawers for cocktail accoutrements. Always keep your bar well stocked and stylish. It’s worth spending that little bit of extra effort to source bottles and cans (just clap your hands!) that have some visual interest. In short – select only the prettiest booze to put on display. We all get a little thirsty in the evening hours. So when your guests hit their sipping stride, be prepared to keep the good times rolling with easily-accessible but cleverly-stored drinks. Muddle that lime! Mix those bitters! And don’t forget to protect that wood grain from stains! 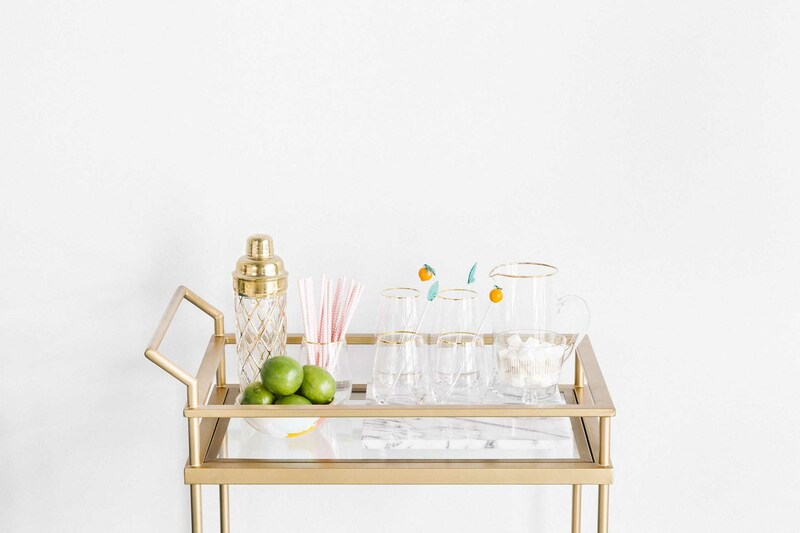 Yep, your bar cart is only as strong as the drinks you can serve from it. Style with a mortar & pestle, coasters and any other tools you might need to mix it up. The cart alone is a work of art. That said, if you’ve placed your cart up against a wall, you’ll likely want to fill in that empty space with a piece of art to complete the picture. 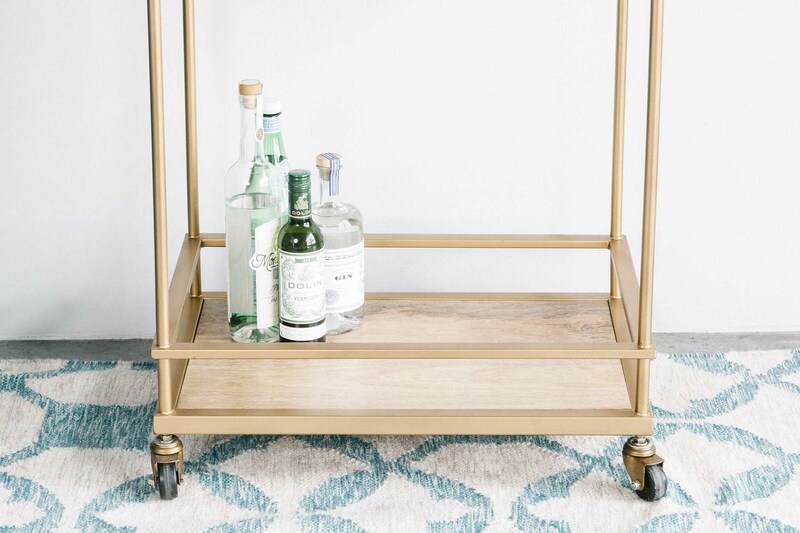 Feeling inspired by these bar cart styling tips? Well then go on, get your cocktail on with our collection of bar cart packages. Or if you just want to gaze at some more bar cart eye candy, check out this collection of chic & stunning Havenly-designed bars.